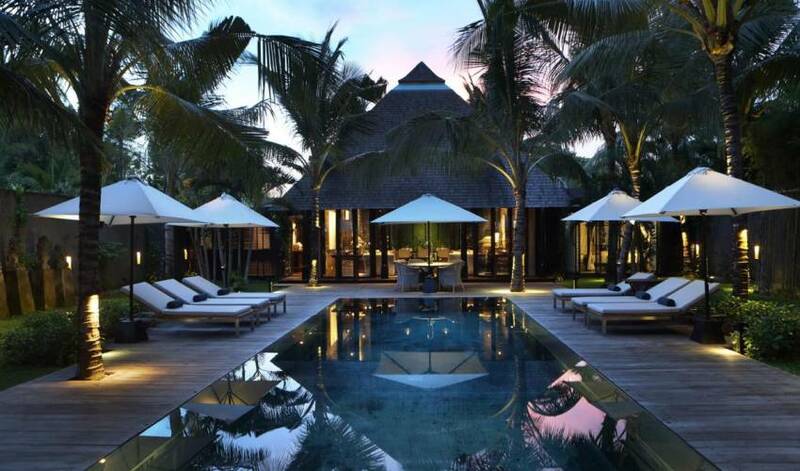 Villa 3352 is a unique retreat that combines a serene atmosphere with a sense of proper indulgence. 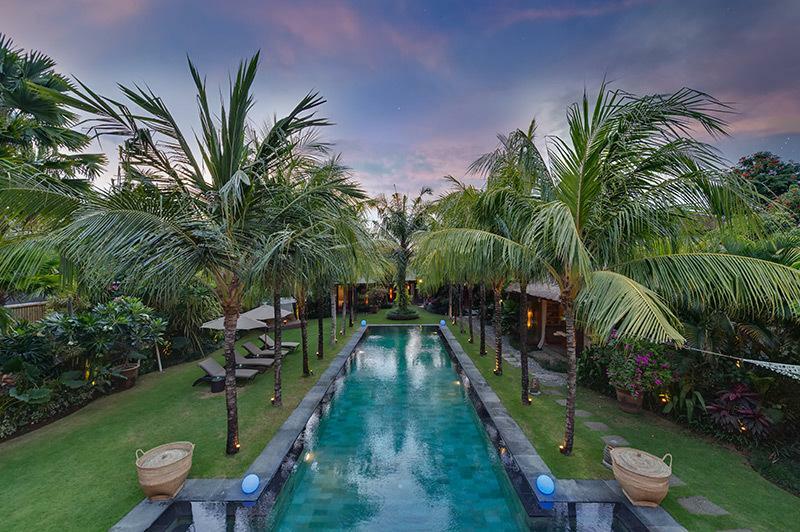 The villa offers a stylish and inspirational setting, backed-up by a team of excellent staff who will make you experience genuine Balinese hospitality. 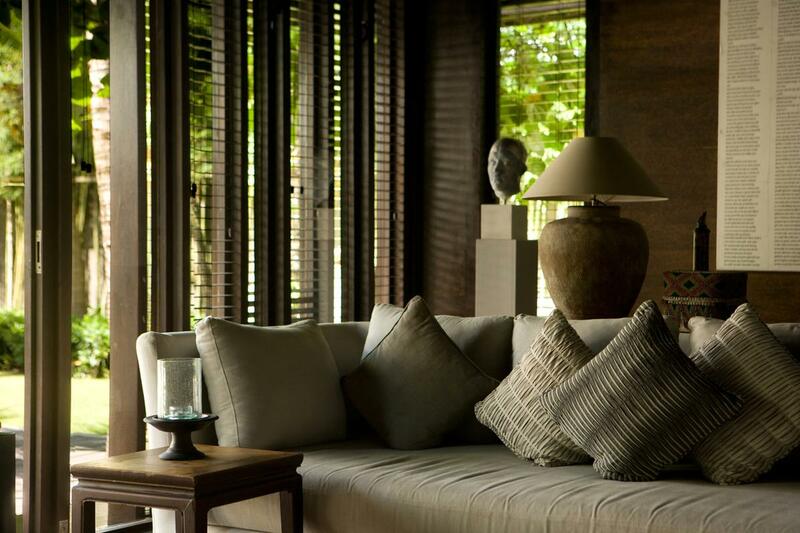 A stay in Villa 3352 will help you rest your mind and soul in an effortless and comfortable manner. The villa is decorated in a distinctive East-meets-West style. 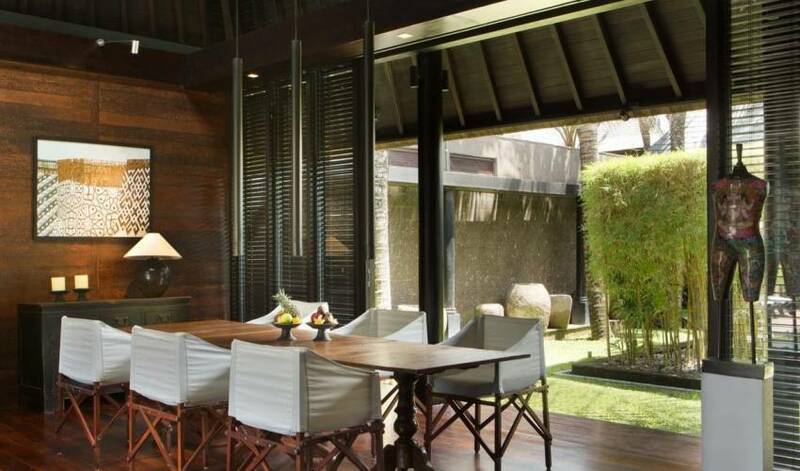 Surrounded by the lush greens of our large garden, you will most likely forget that you are located right in the center of vibrant Seminyak, in a quite residential area a home far from home. 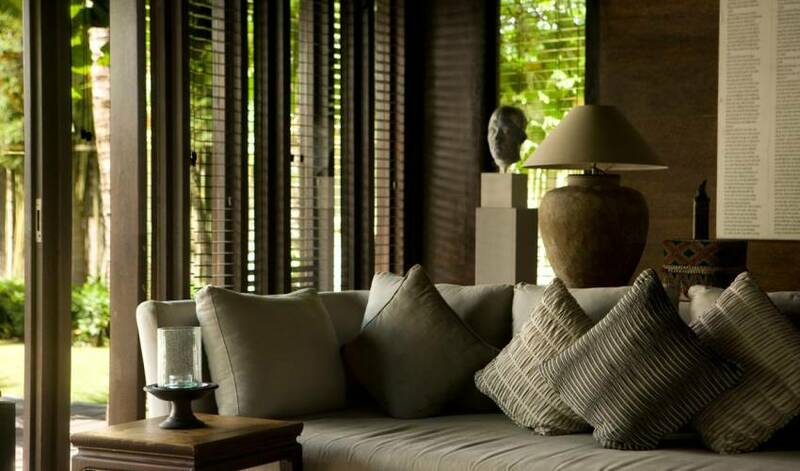 Villa 3352 consists of two separate properties, offering a total of five tastefully decorated bedrooms. 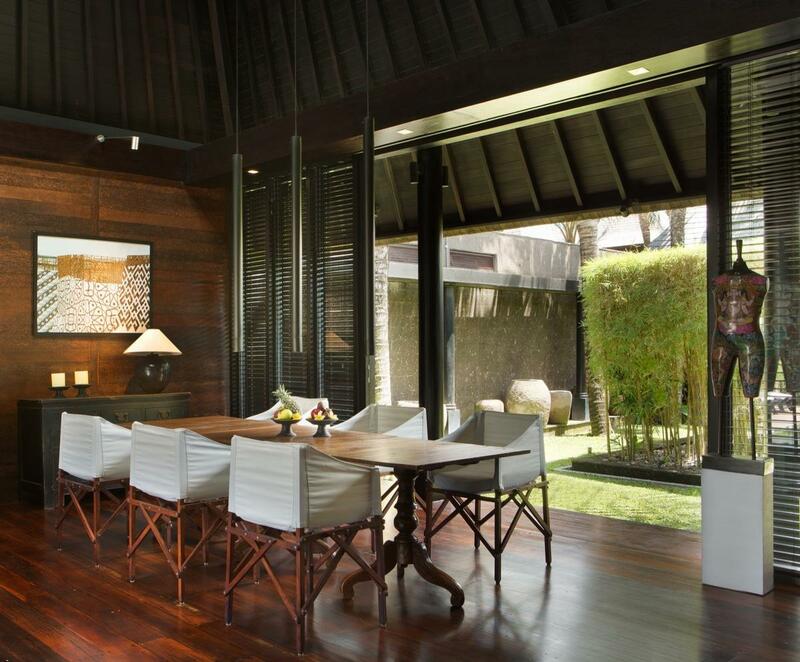 Villa 3352 is a five-bedroom villa, built on a spacious lot in central Seminyak. The villa consists of two separate properties – Villa 3676 and Villa 3675 – offering a total of five tastefully decorated bedrooms. The air-conditioned bedrooms all have en-suite bathrooms and are equipped with flat screen LCD television and DVD player. 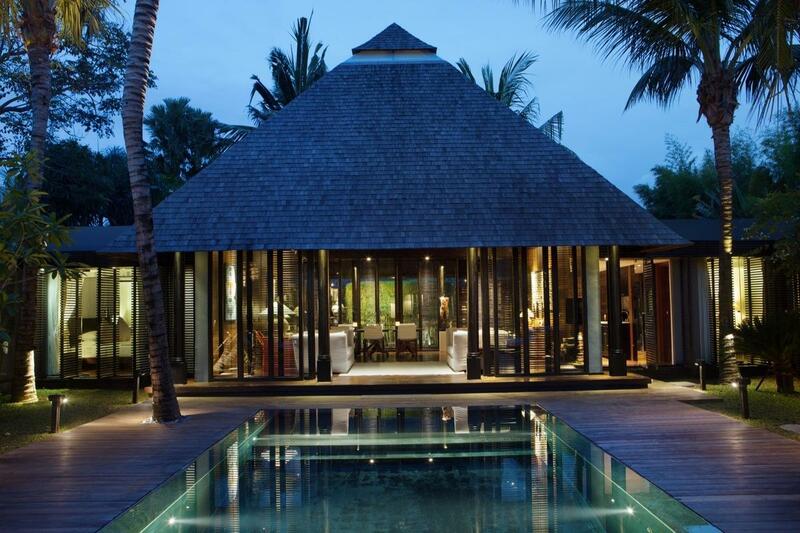 The two villas are connected by a large private inner court, scattered with coconut trees. 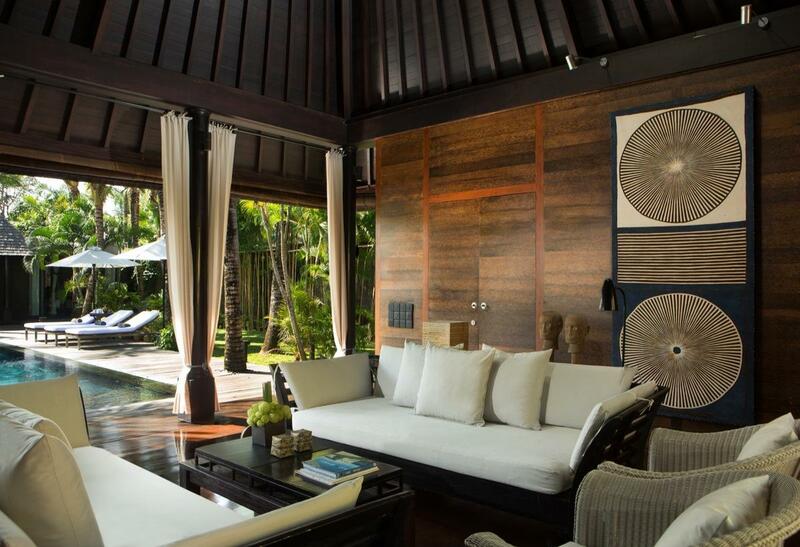 Each villa has a pool, set in a wooden deck with luxurious daybeds. Villa 3352 can be rented as a whole, but is also suitable for smaller families who wish to rent a two- or three-bedroom combination. In both cases, you will have all the privacy you need. 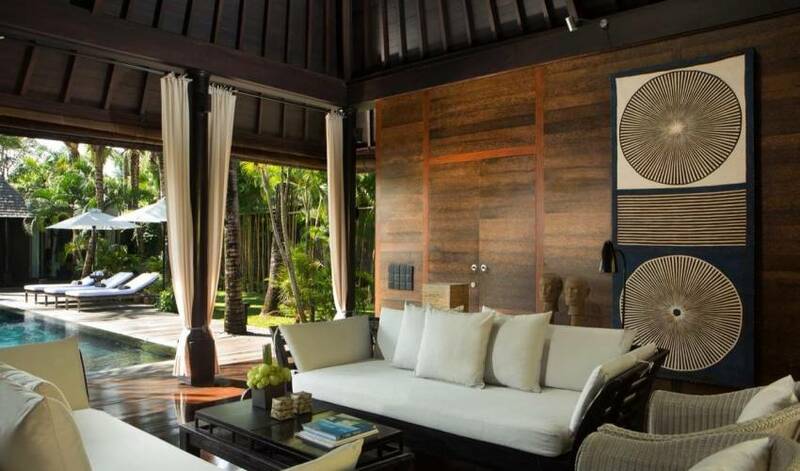 Villa 3676 is a three-bedroom property, featuring a living room, private kitchen, and a special area reserved for dining and relaxation. Whether you wish to enjoy your meal inside or outside, it is your pick. The luxurious master bedroom is connected to the living room and offers a comfortable four-poster bed, as well as an en-suite dressing-area. The dressing area is connected to the bathroom, which features a shower, toilet and wooden bathtub. The second and third bedroom are connected to the bale, an open living area at the backside of the garden. One bedroom has a four-poster bed, while the other features two single beds. 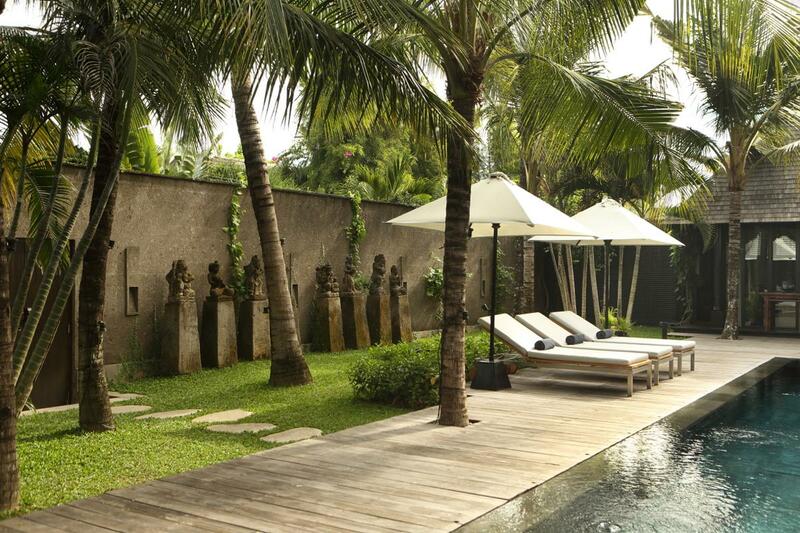 Villa 3676 has its own 12-meter long pool with a distinguishing pond-like design. 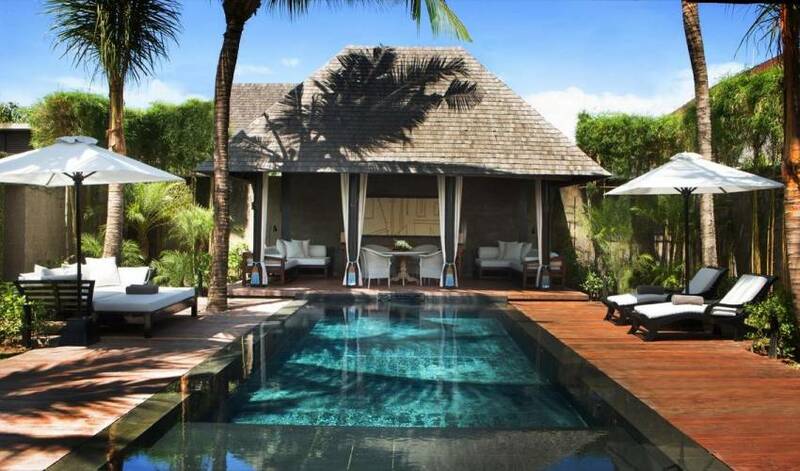 The villa has a special massage area with bathtub and private courtyard, featuring an outdoor shower and massage table. Accompanied by the sound of purling water, our own villa therapist will have you enjoy the spa treatment of your choice. Villa 3676 also offers a brand-new entertainment room, equipped with a wide-screen 3D television and comfortable sofa for up to ten people. Villa 3675 is a two-bedroom property, featuring a living room, private kitchen, and a special area reserved for dining and relaxation. You can choose to enjoy your meal inside or outside, according to you own preferences. The first bedroom offers a four-poster bed and an en- suite dressing area, which is connected to the bathroom. The bathroom features a honeymoon bathtub, shower and toilet. The second bedroom has two single beds, a separate dressing area and an en-suite garden view bathroom. 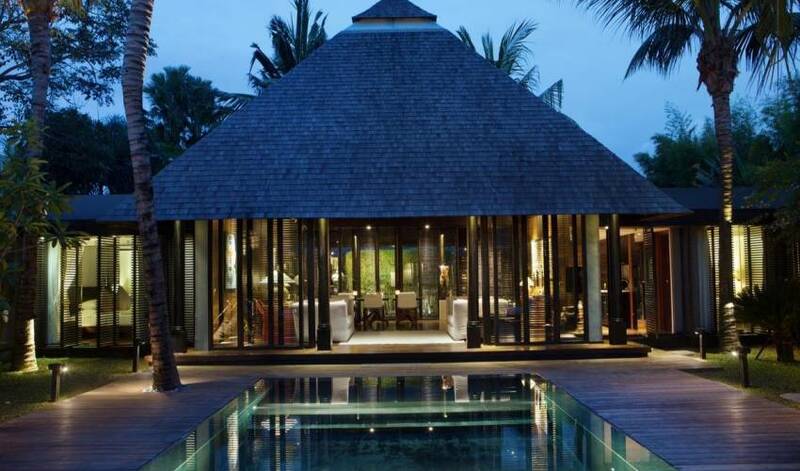 Villa 3675 has a 9-meter long pool, surrounded by an ironwood deck and situated in a fully private coconut-tree garden. For guests who wish to enjoy an on location spa treatment, a portable massage table is provided. Our twelve staff members will make you experience genuine Balinese hospitality by delighting you with the best possible service. Whether you wish to start your day with a good breakfast or need to assemble an adventurous daytrip, our staff is there to meet your wishes. A butler is invisibly present from the early morning until the late evening, but can stay longer upon request. Our chef prepares dinner on an exceptionally high level and is familiar with both the Western and Asian kitchen. The security staff is present from the afternoon until the early morning and is there to secure your safety. 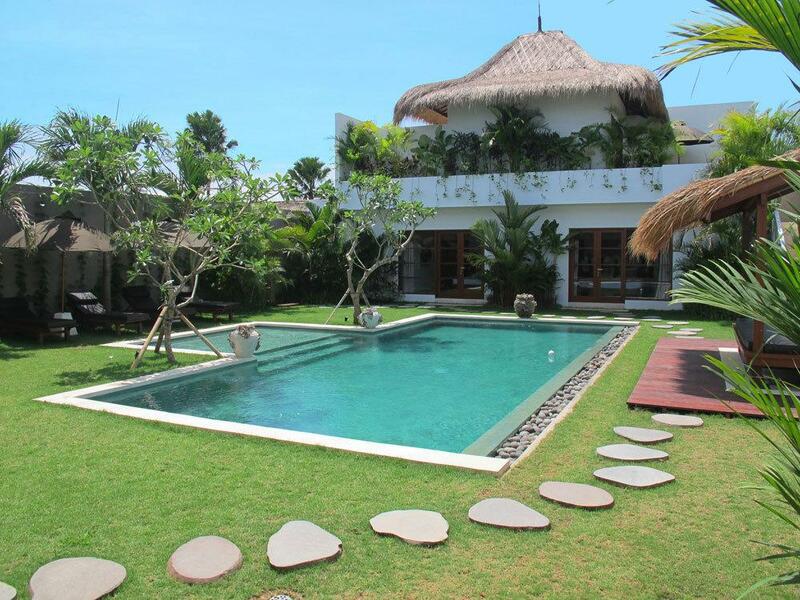 The villa is situated in the center of Seminyak, a vibrant neighborhood with a cosmopolitan feel. Despite its central location, the direct surroundings of the villa are green and quiet. 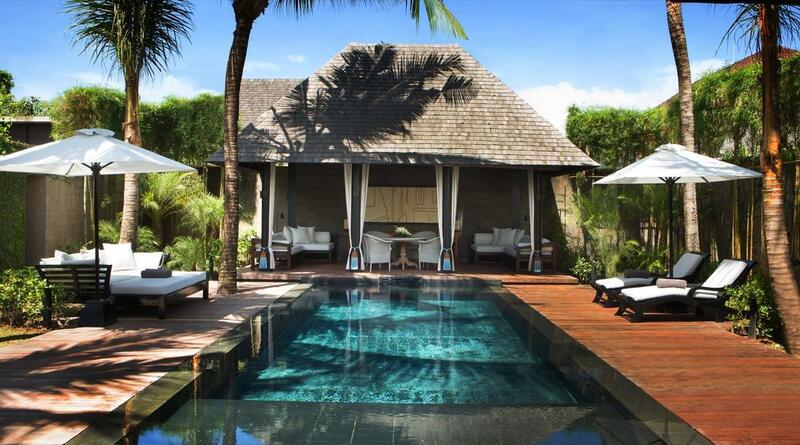 With its safe and friendly character, Seminyak is the ideal spot for everybody wanting to enjoy a carefree holiday. 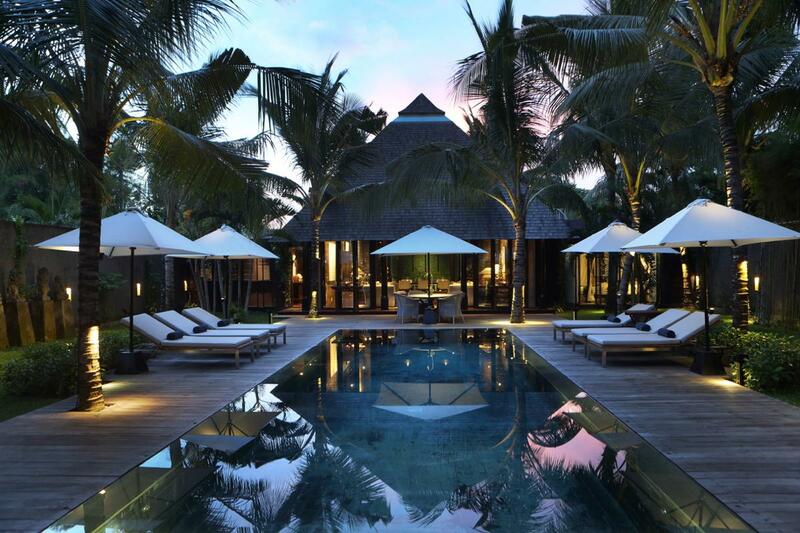 For the minds already settled, Seminyak offers an outstanding range of restaurants, cafés, clubs and boutiques. The majority of these venues is located just a few minutes’ walk from the villa, making it amazingly easy to alternate between total relaxation and urban vigor. Toast to the sunset with a cocktail blended to perfection at KU DÉ TA beach club, enjoy the rich tastes of Italy at La Lucciola, or indulge in fine-dining at Breeze while listening to the soft sound of breaking waves. The alluring Oberoi beach is located within reach of Villa 3352, providing easy access to a spectacular panoramic view. The venue is popular among surfers, but also offers opportunities for people wanting to enjoy a quiet, uncomplicated day at the beach. Beach chairs and umbrellas can be rented at a reasonable price.